With the opening of a flagship store at ION Orchard, the upmarket counterpart to Swedish retail clothing behemoth H&M is now in Singapore, marking the first COS (short for Collection of Style) outlet in South-East Asia and seventh overall in Asia (after branches in Hong Kong, Shanghai, Beijing and Tianjin). 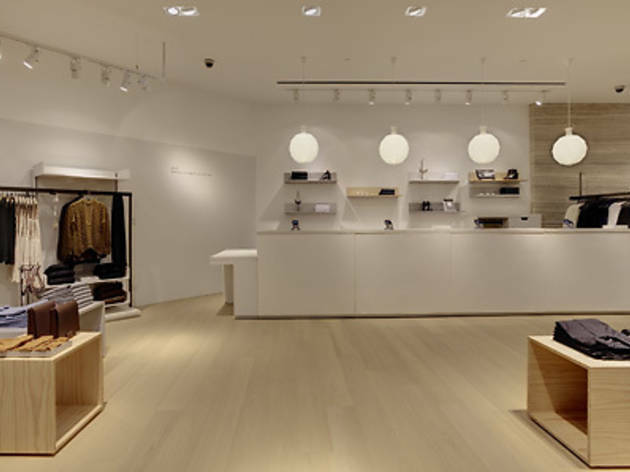 The sleek store aesthetic is similar to its sister brand, with an austere glass-and-steel exterior as well as a minimalist layout. 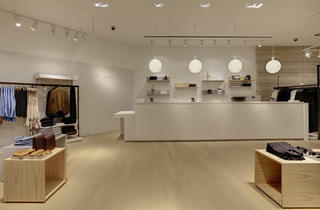 But in contrast to the massive multilevel H&M outlets, COS occupies a modest 548 sqm single-level space. Accordingly, the focus here is on slightly higher-end products with a more mature look, with prices closer to what you’d find at Zara’s top end. Prices start at a relatively affordable $29 for various tops for both men and women, but quickly go up to $175. Meanwhile, dresses top out at $590, with prices going all the way down to $69. There’s also a kids line priced from $39 to $69.